A note/bill, sweets or any other small item is put into the box right in front of the audience. The magician gives the box to a spectator and asks them to remove the precious item from the box. The spectator struggles to open the box but cannot, you can open it in a second right in front of the spectator without giving away the secret. The Svengali Deck, also known as Short 'n' Long cards is a true classic in magic. A card is selected, and replaced in the deck. Suddenly the card jumps to the top. The card is lost in the pack, and another card is selected... again... IT'S THE SAME CARD !!! Instructions to this and 10 effects come complete with every pack. This utility device makes it possible to vanish silks, cigarettes, salt, even water in your bare hand. Produce items out of thin air also! Trick is very easy to perform. Comes with secret gimmick (T.T.) and a silk handkerchief. It's a the perfect trick to perform for children or adults. is this for a child or adult? A very easy magic effect to perform. The performer shows a container with only a large black die. With one shake, the black die disappears and in its place 8 small dice appear! This SECRETLY marked deck is sure to prove your mind reading powers to your friends! A complete deck of cards with subtle marks, easy to read, easy to use! Complete with instructions to 10 tricks! This is a very easy to do and brightly coloured magic trick! 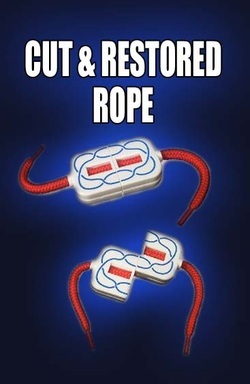 The rope can be cut in 2 at any point chosen by your audience. 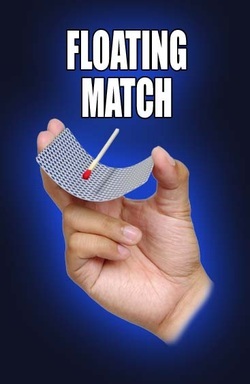 You the magician show a stage (Playing Card) and your beautiful red-headed assistant (Match) and with no effort at all she seemingly levitates into thin air! You can levitate anything of similar size and weight. Imagine borrowing a dollar bill from your friends and visibly shoving a pen right through the bill! After showing the bill, with the pen clearly going through it, now you pull the pen out and magically cause the tear in bill to be restored! You can then immediately hand out the bill and the pen for examination!